PLEASE CONTACT CLIENT SERVICE, OUR ADVISORS WILL BE PLEASED TO ASSIST YOU. ALTERNATIVELY, CONTACT THEM VIA THE EMAIL FORM. HOW SHOULD I STORE MY BOTTLES? Bottles should be stored in a horizontal position, ensuring that the liquid remains in contact with the cork. If these conditions are not met, the quality of the wine might unfortunately be affected. We recommend storing our vintage wines in a dark place maintained at a consistent temperature between 12° C and 15°C (53.6°F and 59°F). HOW LONG SHOULD I KEEP A BOTTLE? As you might imagine, the issue is complex. However, there is one rule of thumb to remember: the better the champagne, the longer it can be stored. Criteria of excellence include great vintages, extended aging on lees, and so forth. - If your champagne is not vintage, we recommend opening it for your next occasion to benefit from the freshness and floral notes of the cuvée, or keeping it for two to five years in good storage conditions. - If it is vintage, you may keep it in good storage conditions for up to fifteen years. Ageing duration may be extended for larger bottles. CAN PERRIER-JOUËT REPLACE MY BOTTLE IF IT IS SPOILED OR IF I HAVE ANOTHER QUALITY PROBLEM? - if a bottle has been properly stored but is affected with cork taint, the bottle can be replaced upon presentation of proof of purchase. Please rovide the lot number printed on the bottom of the bottle and the receipt. This is not really about proof of purchase but more about bringing a piece of evidence to prove the bottle has been well-stored and not altered or ampered with. For any other enquiries, please use the contact form or follow us on Facebook, and Twitter. CAN I VISIT THE PERRIER-JOUËT PREMISES? Unfortunately, the Perrier-Jouët cellars and Maison Belle Epoque are reserved to professionals and private guests. WHERE CAN I FIND PERRIER-JOUËT PRODUCTS? 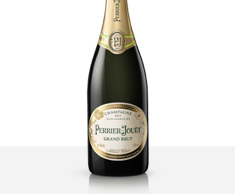 Perrier-Jouët champagnes are sold in select prestige outlets all over the world. 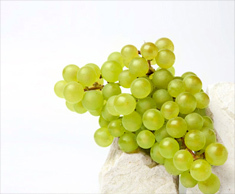 To locate our products, please visit our “Where to find Perrier-Jouët” section on www.perrier-jouët.com. WHAT IS THE PRICE RANGE OF PERRIER-JOUËT? We also offer a premium non-vintage champagne, Perrier-Jouët Grand Brut, which carries our trademark style - fresh, floral and Diamond cut – and is situated in the intermediate price range. WHERE CAN I FIND EXCLUSIVE OFFERS FOR PERRIER-JOUËT PRODUCTS? To get details about exclusive Perrier-Jouët offers, please request information at your wine merchant. DOES PERRIER-JOUËT ESTIMATE THE ADDED VALUE OF A VINTAGE CHAMPAGNE? We do not estimate the added value of vintage bottles, and we do not purchase them. Please refer to the market value. Art Nouveau was an international movement, known as Modernista in Spain, Jugendstil in Germany, Secession in Austria and Slovenia, Stile Liberty in Italy and – after the name of one of its exponents – Tiffany in the United States. It rose to prominence in Barcelona and Brussels in the late 1880s thanks to the work of pioneering architects like Antoni Gaudi and Victor Horta, and went on to influence all visual arts, especially the decorative arts. It also drew on the works and theories of the Englishman William Morris, who had drawn a strong distinction between craftsmanship and the mass production of industry that was indifferent to aesthetic concerns. Art Nouveau spread rapidly throughout Europe – in France it was propagated by Emile Gallé’s Ecole de Nancy – before declining in 1914, with the outbreak of World War I. As fleeting as it was, this stylistic adventure – a reaction to the excesses of industrialisation – struck a chord: Art Nouveau offered extraordinary liberty, a joyous creative spirit and a comforting sense of enchanting possibility. Emile Gallé was one of the founders of the Art Nouveau movement. 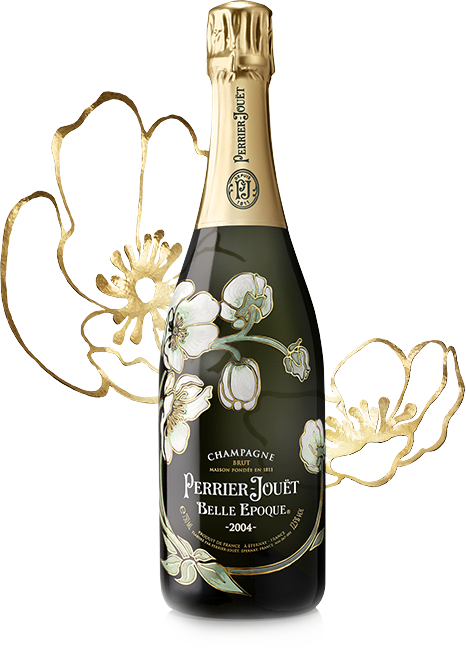 In 1912 he designed a bottle for Perrier-Jouët featuring Japanese anemones. This design has become world famous and still graces the bottles of our Cuvée Belle Epoque champagnes. Emile Gallé travelled to Japan several times in his life and took a great deal of inspiration from Japanese art and flowers. The Japanese influence was one of the predominant themes in the Art Nouveau movement. Other famous artists from the Art Nouveau movement include Hector Guimard, Louis Majorelle and Lalique. WAS NATURE A SOURCE OF INSPIRATION FOR THE ARTISTS OF THE BELLE EPOQUE? Art Nouveau’s elegant embellishments were developed to counteract the graceless shapes of the early industrial age, and the movement looked to the natural world for inspiration. The natural shapes and structures of flowers and plants, and even insects and animals, were used in Art Nouveau. Perrier-Jouët also takes its inspiration from nature, and the Art Nouveau anemone design of its Cuvée Belle Epoque is a fitting symbol of the brand. 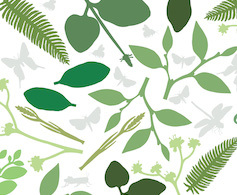 Nature is at the heart of the Perrier-Jouët experience.